Intensive classes are great value for money. You can book daily 1x hour sessions, over the course of a week for only £15. 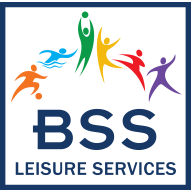 Intensives run alongside ASA Level 1 & 2 Swim Teacher courses, delivered at BSS Leisure during selected holiday periods. Sessions are split into Beginner, Intermediate and Advanced levels. Link Group offers children the chance to improve their competitive swim skills needed to progress into Bolton Club and Squad. As well as teaching children the fundamentals of football, Diddikicks’ team develop invaluable life skills. Take children on a journey of sporting imagination.